There are few people still living in the village who were here when the hall was opened but for those who were not, it was very different from what it is today. 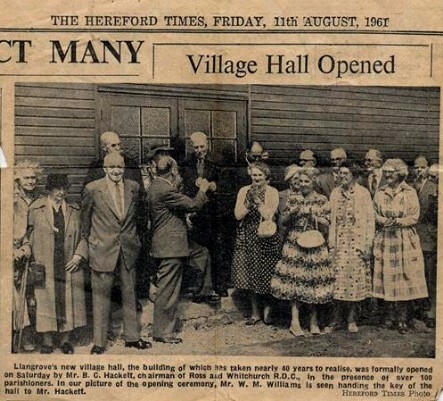 In the 1950s when the idea of a village hall was conceived, it was a very ambitious project. Land had to be acquired in a central position and funds had to be raised for the building. 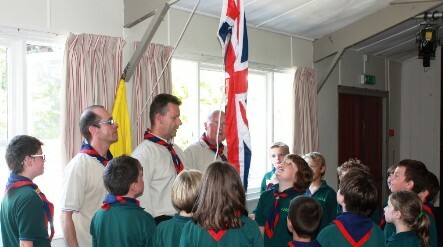 This culminated in the opening of the hall in the summer of 1961. Most agree that this was a very wise investment and over the years, the hall has become and has remained central to the social life of the village. At first, the hall was a space with no stage and very basic toilets and kitchen. Its big advantage was that it was clad with cedar wood and this has prevented it from rotting but in the early 1990s, the building was deteriorating from lack of investment and maintenance. One idea was to sell the building and land for housing development and move to another site in the village as then unspecified. This proposal was submitted to a “Village Meeting” and was overwhelmingly rejected. The Management Committee resigned en masse and a new committee elected. Proposals for repairing and modernising the building were quickly formulated and what we have today largely originates from decisions made at that time. Outside two safe playground areas, a grassed area for ball games and an action playground, are widely used, as is the surfaced car park, and over the years the Hall has become a busy centre for village clubs and youth groups. The facilities are continually developing and recent additions, purchased with assistance from the Llangrove 100 Club, the Village Singers and Llangrove Community Productions, include a Projector and screen, and an electric piano. 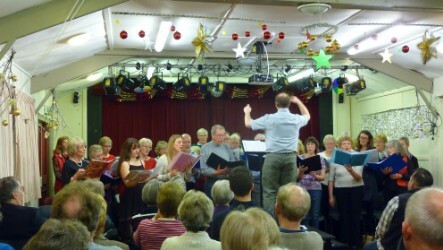 Activities also continue to expand and now add a table tennis group, Community Choir, Luncheon Club and two very popular art groups to traditional village clubs such as the WI and Gardening Society. The Hall is also responsible for maintaining the well-used village book exchange in the redundant telephone box. 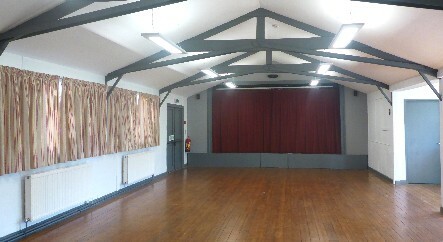 To enquire about hiring the Village Hall, please click HERE. Support the Village Hall via 'The Giving Machine': for every online purchase you make from selected stores, eg Amazon, eBay... a donation will be made toward the Village Hall and it doesn't cost you anything. A defibrillator is situated on the front wall of the village hall for emergency use.